March 18th, 2015- Today is Kick Butts Day, a national day of activism sponsored by the Campaign for Tobacco Free Kids that empowers youth to stand out, speak up and seize control against Big Tobacco. 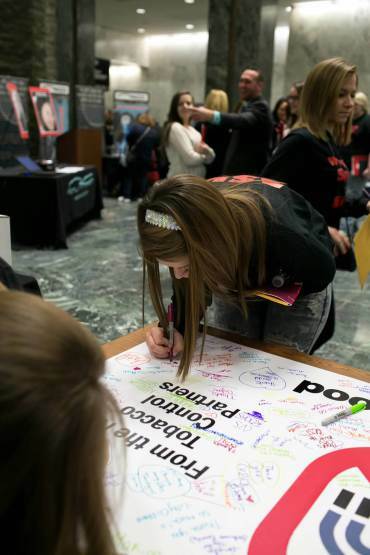 As a teacher, youth leader or health advocate, you can organize events to raise awareness of the tobacco problem, encourage youth to stay tobacco-free and urge strong action to protect kids from tobacco. Becky Bade, the Campaign for Tobacco-Free Kids, Central Region Youth Advocate of the Year presented on her work in the state of Missouri. 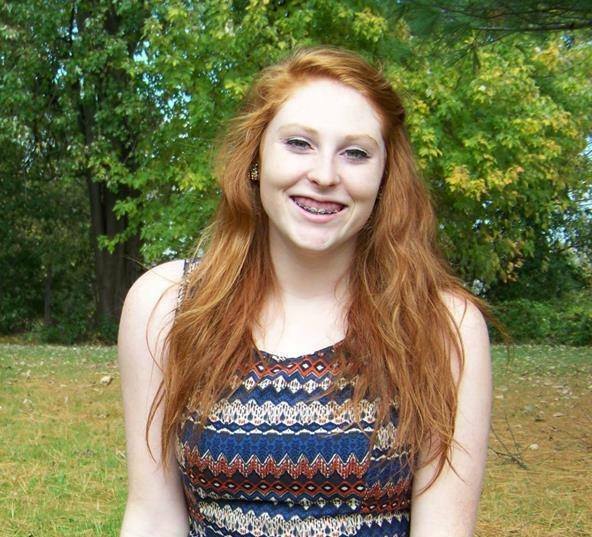 Becky is a Junior at New Bloomfield High School and a member of the Tobacco-Free Missouri Youth Advisory Board. She has played an integral part in creating the “Stand Up to Tobacco” campaign, which collected 2,400 cards from over 80 communities, which shared personal stories on how tobacco affected them. Becky has worked diligently to reduce the impact of tobacco in her community, even when a ballot she worked in support of failed, she was not deterred and has never stopped fighting for a tobacco-free future. Capital District Reality Check led a workshop on Media Literacy. Program Coordinator Kelsey Madden and Reality Check member Bianca Schiocchetti, discussed how companies create marketing campaigns. Some may not realize how much work goes on behind the scene to create a marketing campaign to sell products or influence behavior. Kelsey and Bianca pointed out how some parent companies such as Pepsico own both Taco Bell and Pepsi, Mug, Mountain Dew, and Brisk Tea. You’ll notice whenever you go into a franchise owned by Pepsico, they will only sell and endorse their own products. While this is only one example check out the photo below to see what companies own which brands. Reality Check of Clinton, Franklin and Essex counties presented on Guerrilla Marketing. Program Coordinator Kimberly Cummins, Reality Check members Kelsie Mesec and Kali Bushey showcased national and local campaigns to use non-traditional marketing to spread your message. Participants were able to learn from campaigns Reality Check has undertaken in the past 15 years and hand a chance to create their own guerrilla marketing campaigns. 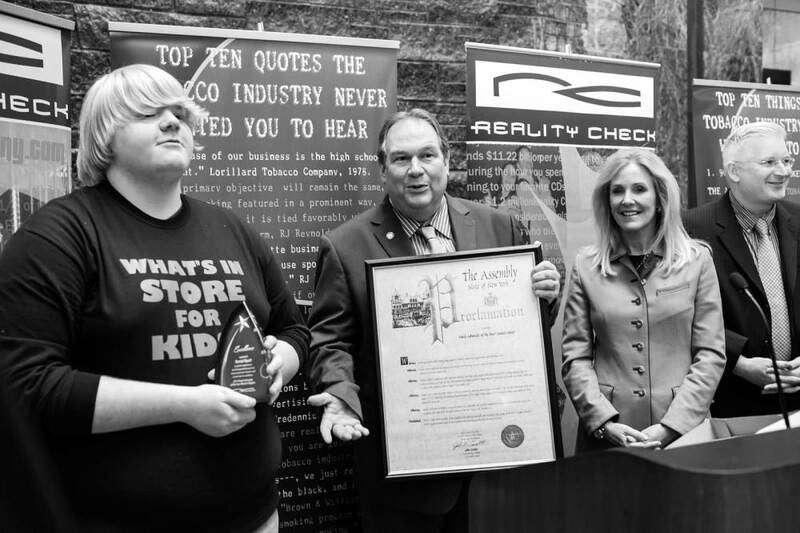 The Youth Advocate of the Year Award, sponsored by Reality Check of New York State, honors the outstanding work of youth advocates who have taken the lead in holding the tobacco companies accountable for marketing to youth. 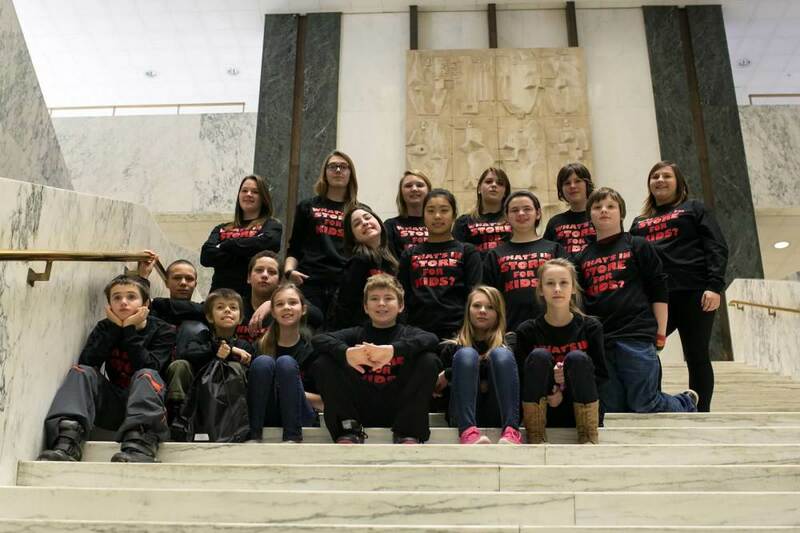 These young activists are fighting to protect their peers and their communities from the dangers of tobacco use through public education efforts, peer-to-peer training and outreach to policymakers. Many have worked to change policies at the local and state level to limit tobacco industry access to youth, protect youth from exposure to tobacco marketing and imagery, and ensure that tobacco prevention programs continue to receive funding. 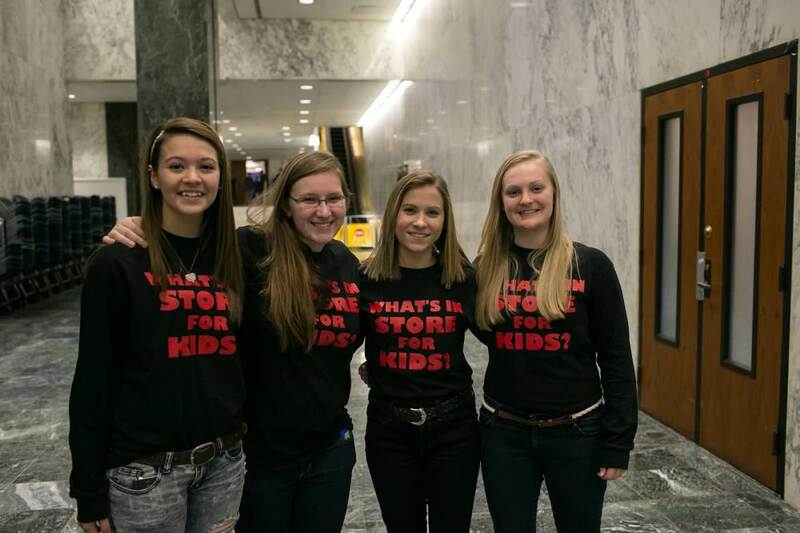 Their work inspires and motivates other young people to join in their advocacy efforts. Erica Olmstead from the Campaign for Tobacco-Free Kids spoke to the power of youth activism with her keynote speech 'The 23% solution'. Erica highlighted how 23% of the population is currently under the age of 18. When the 23% works together and pushes for change it often happens. Almost every revolution has had a youth component. Youth have the power and vision to see what they want their future to look like and work to make that ideal a reality. February 15-21. 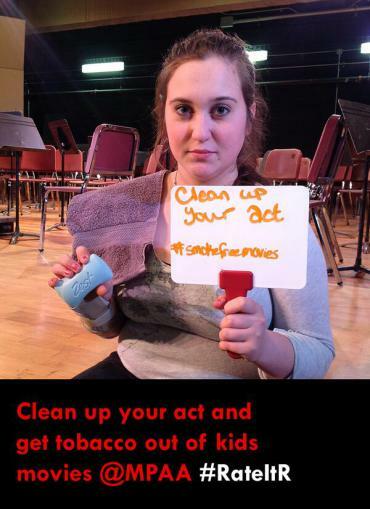 Each year during the week leading up to the Academy Awards, Reality Check youth take part in events to raise awareness on the influence smoking in movies has on youth. The events help show the importance of rating movies with smoking “R”. This year, the many different events had Reality Check youth working locally as well as on an international scale. Reality Check youth from Western New York joined up with youth from the Ontario Coalition for Smoke-Free Movies for an event at Niagara Falls. February 25, 2015- Reality Check programs from across New York State gathered for a day of advocacy and education. We gathered in Albany for a day to raise our voice and say "Enough is Enough". We met with our state Assembly and Senate members to tell them what big tobacco is doing in their district. At noon we gathered to recognize the milestones that have been made around New York State to make more places healthier to live, work, and play. We heard from pioneers in the field of tobacco prevention such as Dr. Guthrie Birkhead, Deputy Commissioner of the Public Health Office and Dr. Ursala Bauer, Director of the National Center for Chronic Disease Prevention and Health Promotion with the Center for Disease Control. Mayor Rich David and the City Council members from Binghamton, NY for preventing new tobacco retailers, from locating within 500 feet of school. The Hornell Housing Authority for increasing access to smoke-free living by implementing their smoke-free policy within their units. CVS Pharmacies for their creation and implementation of a national corporate policy to stop selling tobacco products in all of their stores nationwide. DECEMBER 19, 2014- The 2015 Youth Advocate of the Year Award application has been released. Take your time to fill out the application with all of the work you’ve done with Reality Check and on your own to fight the influence of big tobacco in your community. Applications must be submitted online by Monday, February 13th via formstack. What have you done to advocate for the Reality Check cause? What legislators have you spoken with? What message did you leave them with? How has your advocacy experience affected your community? What have you learned from your successes and failures? Have you suggested an idea for Reality Check that they used? Have you helped create or taken the lead on part of an event for Reality Check? Have you noticed something in your community and done something about it? Give an example of a time you did something without your Reality Check coordinator asking you. Did it work out? Explain. Tell about an activity you have been involved with. What were the results of your actions? Do you have a personal story of affecting someone’s perspective on tobacco marketing? Have you ever involved another youth in Reality Check? Have you mobilized your community members to work with you? What qualities do you see in yourself that make you a leader? Explain how you have used your creative thinking skills to spread the Reality Check message. Explain how you have used your problem solving skills to solve a problem regarding tobacco in your community or with your Reality Check team. Explain the methods of communication (verbal, written, social media, etc.) hou have personally used to communicate the Reality Check team. What specific skills do you have that make you a great advocate? 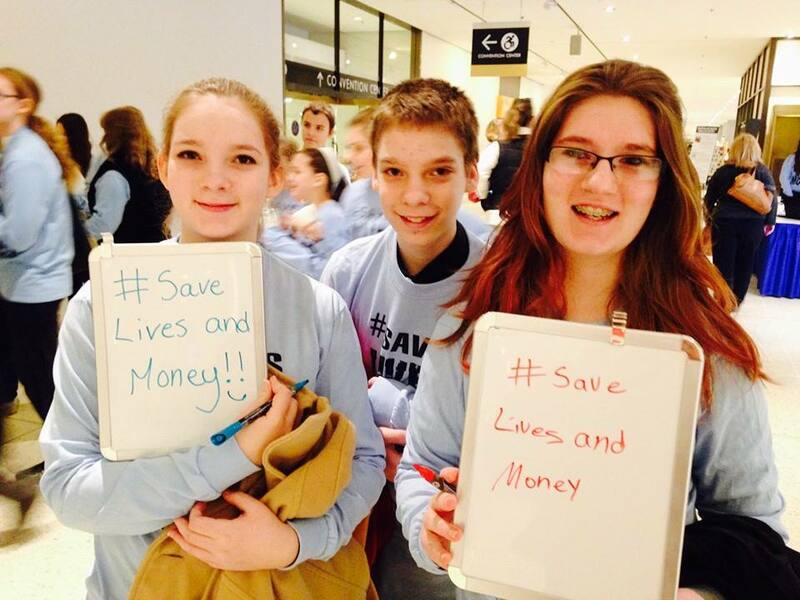 Why is being a youth advocate important to you? How does your experience make you a successful youth advocate? NOVEMBER 21, 2014- Reality Check programs across New York state came out to support the American Cancer Society’s Great American Smoke Out and spread the word that quitting smoking is the single most important step you can take to improve your health. 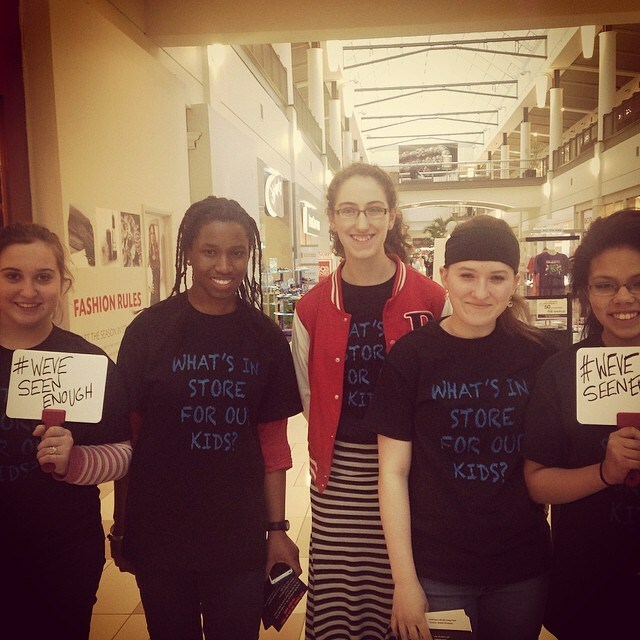 JUNE 2, 2014- Reality Check youth advocates from all over the state celebrating World No Tobacco Day on Saturday, May 31st by educating their communities about the dangers of tobacco and tobacco marketing through activities in their local communities. From Schenectady to Binghamton to Plattsburgh and beyond, Reality Check advocates spoke up about tobacco marketing in their community. Check out the photos below to see some of the activities our advocates planned and participated in! Reality Check partners across New York State will host events later this month for World No Tobacco Day. Every year, RC celebrates World No Tobacco Day as an opportunity to tell the tobacco industry that kids have seen enough tobacco marketing in their neighborhoods. The tobacco industry invests billions of dollars on tobacco marketing in retail stores including discounts to make tobacco more affordable. These discounts are deadly because they bring death and disease to the people who use tobacco including more than 100,000 youth in New York State. World No Tobacco Day on May 31 is an international day of advocacy sponsored by the World Health Organization. It brings together people around the world to stand up against big tobacco and highlights strategies used to keep smokers from quitting and to recruit new customers, which are almost entirely youth. One key strategy of the tobacco industry is to spend billions of dollars each year to keep the price of tobacco as low as possible and negate the effect of the sales tax. Smoking continues to be the single largest preventable cause of disease and premature death in the U.S., killing more than 23,600 New Yorkers every year. APRIL 23, 2014- Today, Reality Check groups across the state received the following letter of support from Attorney General Eric T. Schneiderman after we awarded the Office of the Attorney General with a Fame Award for their dedication to protecting youth from tobacco imagery on screen. The Attorneys General have played a crucial role in pressuring Hollywood to get smoking out of kids movies. Our relationship with our Attorney General is invaluable and we are so happy we have been able to create such lasting change together throughout the years. In our work with the Attorney General, we have been able to get tobacco ads out of magazines in elementary, secondary and high schools, keep teens from ordering tobacco products via USPS, reduce tobacco imagery on screen and now even possibly influence YouTube to adopt a policy about tobacco use. Who says youth can’t create large scale change? APRIL 18, 2014- Check out these great photos from Twitter Party’s around the state! Don’t worry if you missed the action – click THIS link to check out all the great tweets from the Twitter Party. @MPAA, are you listening? To learn more about our Twitter Party, check out our #RateItR post. MARCH 31, 2014- Check out our latest “CALL TO ACTION” and learn how you can join our Twitter Chat Party on April 17th from 4-5PM. Reality Check youth advocates across New York State will host a Twitter Party with other teen advocates and tobacco experts around the world to discuss smoking in youth-rated movies including the billions of tobacco impressions seen on screen each year. We invite you to join our Twitter conversation as we continue to pressure the MPAA for an R rating. Kick Butts Day Photo Gallery! 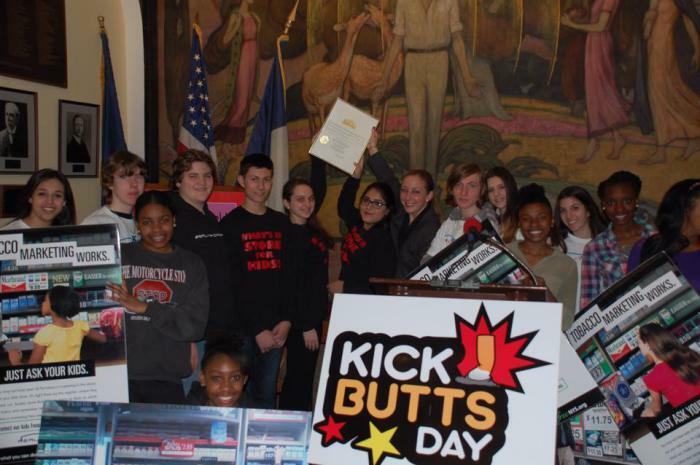 MARCH 24, 2014- Check out some photos from successful Kick Butts Day events across New York State. To learn more about Kick Butts Day, visit http://www.kickbuttsday.org. MARCH 18, 2014- Tomorrow is Kick Butts Day, a national day of activism sponsored by the Campaign for Tobacco Free Kids that empowers youth to stand out, speak up and seize control against Big Tobacco. As a teacher, youth leader or health advocate, you can organize events to raise awareness of the tobacco problem, encourage youth to stay tobacco-free and urge strong action to protect kids from tobacco. 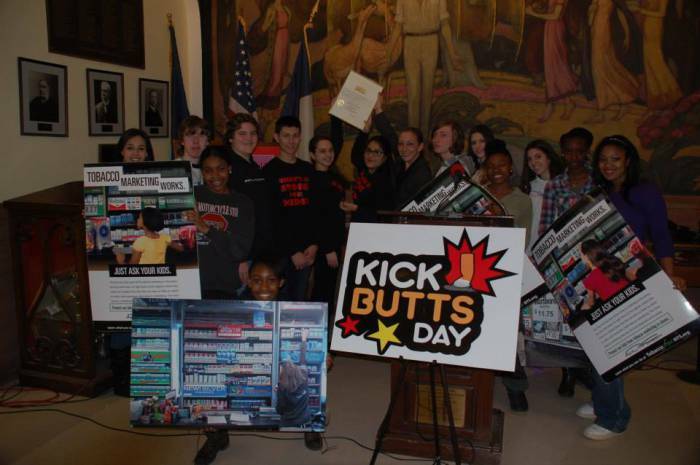 Reality Check of New York is proud to participate in Kick Butts Day each year, hosting countless events across the state in local schools and community venues in collaboration with numerous local community based organizations and youth groups. 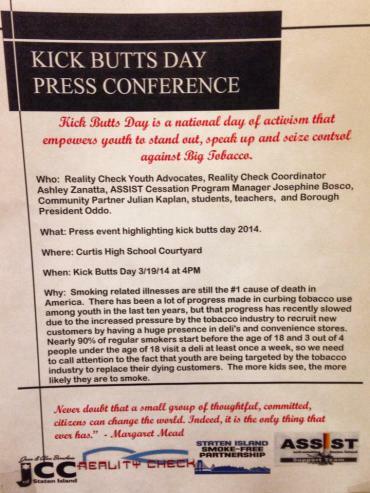 Reality Check Central will be hosting a press conference at Canastota Central School where youth will share their concerns about tobacco marketing in their community. Syracuse University will also release the latest findings of stores that sell tobacco products in Madison, Oneida, and Herkimer County. 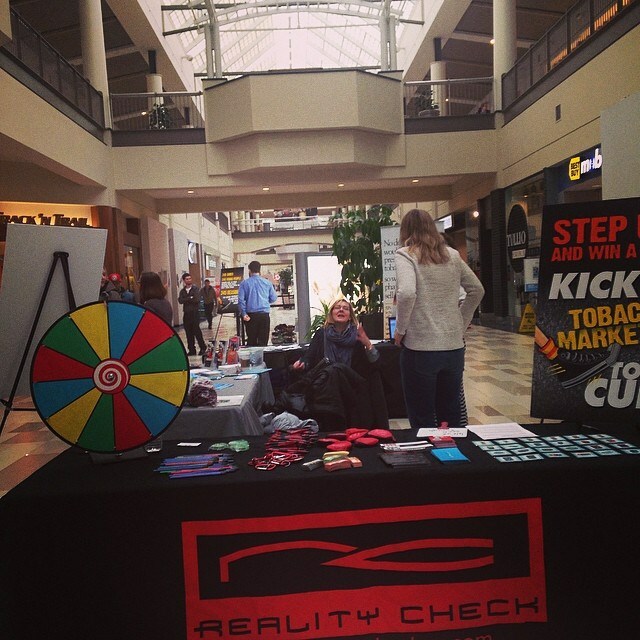 Reality Check Central will also be at Sangertown Mall from 3-6PM with information and visuals about tobacco and tobacco marketing. Reality Check will be “Airing Out Big Tobacco’s Dirty Laundry” at Champlain Centres Mall from 4:30-7:30PM. Reality Check members will display the numerous ways that the tobacco industry has lied, deceived and manipulated. They will also be taking over the airwaves on their local radio station, WIRY. Reality Check will “Air Out Big Tobacco’s Dirty Laundry” at the Canajoharie Family Fun Day in addition to providing information about how their community can fight back against tobacco marketing. Reality Check youth at Delaware Academy are putting together a visual display in their school of the “Cost of Smoking” using visuals and money to show the cost and dangers of smoking. The money and displays will be donated to a local charity in the Village of Delhi. Reality Check youth have also been gracing the airwaves with their anti-tobacco industry message. All local tobacco control partners, including Reality Check, will participate in a Press Conference at a local high school, highlighting the ways that tobacco and tobacco marketing continue to affect young people. All tobacco control partners will share the work that they are doing locally and the work that still needs to be done. The Borough President will also be in attendance to speak to how tobacco is an ongoing problem in Staten Island. 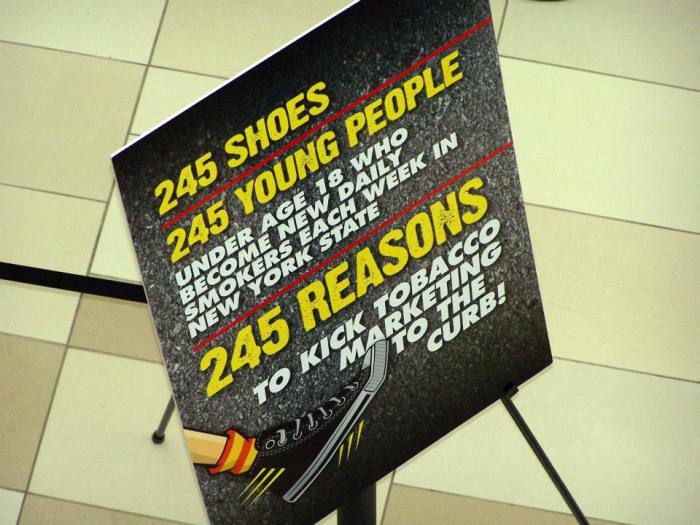 Reality Check is partnering with the Hudson Valley Tobacco Free Partners on an event at the Poughkeepsie Galleria. 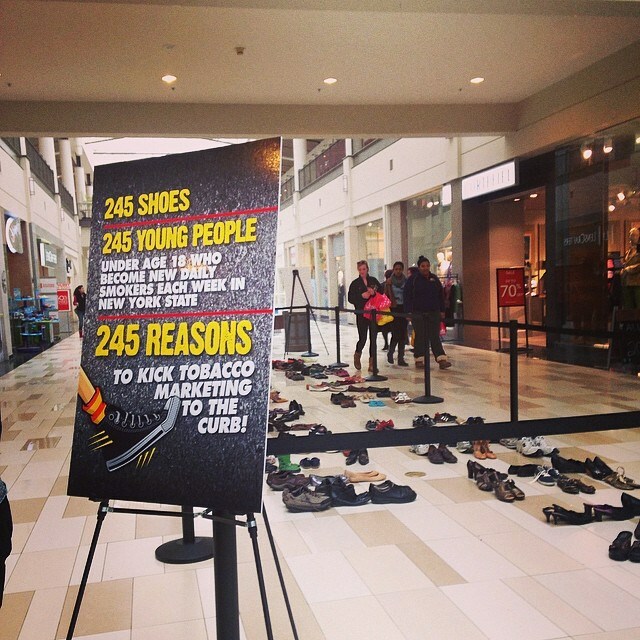 Youth will participate in a flash mob about tobacco marketing in addition to having interactive displays and games. 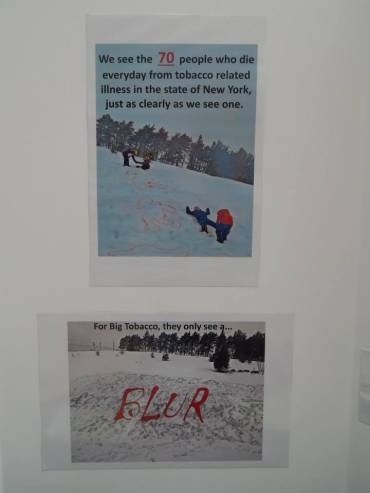 Reality Check youth will outline 70 bodies in the snow to represent the 70 New Yorkers who die daily of tobacco related illnesses. They will also table at Salmon Run Mall in Watertown, NY on 3/22 where youth will educate their community. FEBRUARY 21, 2014- Smoking imagery in youth-rated movies is still common and a primary recruiter of teen smokers – just one of the many manipulative marketing tactics embraced by the tobacco industry. Reality Check is joining youth around the world to create awareness about the way Hollywood encourages youth to smoke during the International Week of Action (February 24 to March 2), which coincides with the week leading up to the 86th Academy Awards. For 10 years, Reality Check has been working to get Hollywood to eliminate smoking in youth rated movies with an “R” rating. According to the Surgeon General’s 2014 Report, youth who are exposed to images of smoking in movies are more likely to smoke; those who get the most exposure to on-screen smoking are about twice as likely to begin smoking as those who get the least exposure. 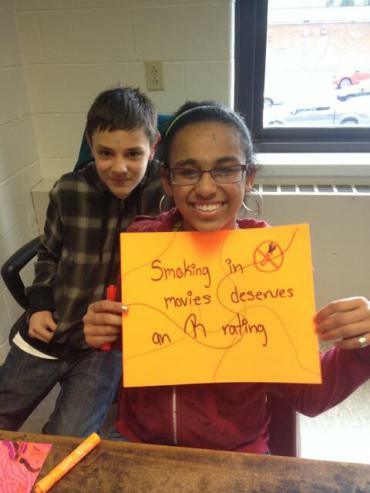 The report further states that actions that would eliminate the depiction of tobacco use in movies could have a significant effect on preventing youth from becoming tobacco users. PG-13 movies are the biggest concern since they accounted for nearly two-thirds of the smoking scenes adolescents saw on the big screen in 2012. 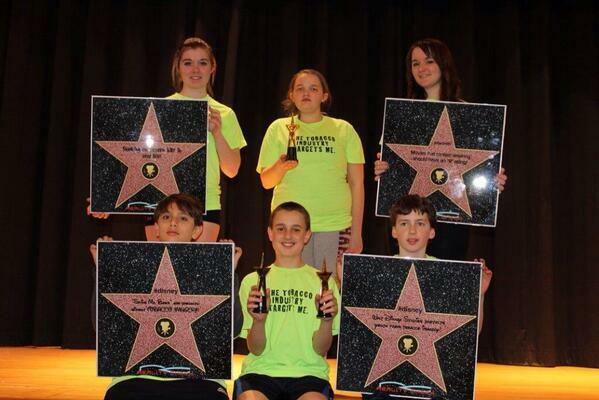 To celebrate International Week of Action and recognize the best and worst of smoke free movies, Reality Check youth from across New York State presented awards to movie studios, actors, and directors. Reality Check presents a 10th Anniversary Fame Award to Stanton A. Glanz and Jono Polansky of the Smoke Free Movies Network for their tireless dedication to working to protect youth from tobacco imagery in movies. The Smoke Free Movies Network is a project of Stanton A. Glantz, PhD, professor of medicine at the University of California, San Francisco (UCSF) and director of the UCSF Center for Tobacco Control Research and Education. 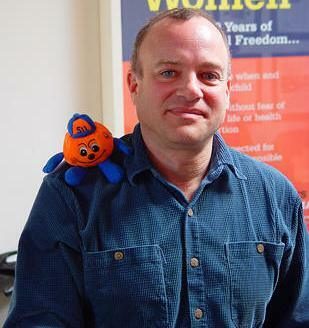 Jono Polansky works with Professor Glanz and consults with UCSF on tobacco control strategy. Together they use research, commentary and information about the deadly consequences of tobacco imagery in movies and its recruitment of young smokers to apply ongoing pressure on the Motion Picture Association of America (MPAA) to change its rating system and rate movies with smoking R.
Reality Check presents a 10th Anniversary Fame Award to the National Association of Attorneys General and The New York State Attorney General’s Office in appreciation of their dedicated staff and resources to addressing tobacco imagery in youth-rated movies. For more than 10 years, Attorneys General have been urging movie studios and the MPAA to reduce youth exposure to tobacco in movies. Reality Check presents a Shame Award to Actor Johnny Depp for allowing the popular animated character he voiced, Rango, to smoke in the movie by the same name. Rango is an animated film rated PG, intended for youth and widely seen by young audiences. This film included more than 60 smoking instances on screen including smoking by Rango, the hero and main character of the film. Reality Check presents a Shame Award to Actor Leonardo DiCaprio for making smoking look cool on screen in the PG-13 rated movie “The Great Gatsby”. While the novel “The Great Gatsby” only mentions smoking 8 times, this new 3D version includes more than 150 smoking instances despite the reality that Americans smoked less in 1922 than they do now. Tragically, this film has already delivered 2.5 billion tobacco impressions to audiences including youth. 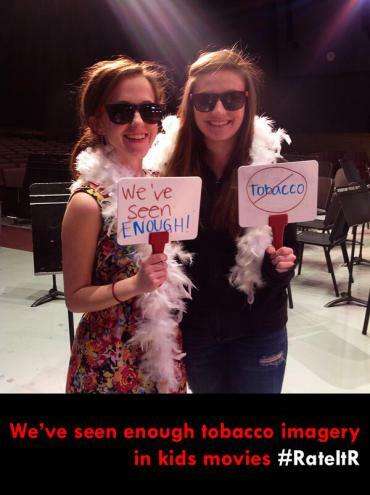 For 10 years, Reality Check has joined with other youth across the U.S. to encourage the MPAA to change its rating system to trigger an R rating when tobacco imagery is part of a film. In 2007, the MPAA announced that it would “consider” smoking in its film ratings, but has yet to elevate the rating of any film for smoking or implement a policy where smoking generates an R rating similar to certain language. The MPAA has received thousands of communications from youth, parents and the public in support of a change to its rating system, yet youth-rated movies continue to deliver billions of tobacco impressions. For not taking action in the best interest of our nation’s youth, shame on you, MPAA. Reality Check feels it’s time for Hollywood to stop glamorizing smoking in the movies kids see. Movies that contain smoking should have an “R” rating because smoking on screen kills in real life. The Motion Picture Association of America (MPAA) has so far been unwilling to change its rating system to trigger an R rating when smoking imagery is part of a film. Six of the leading movie studios, Sony, Disney, Time Warner, Comcast, Paramount and Viacom have voluntarily adopted smoke free movies policies, but have often failed to abide by their own policies. One major studio, News Corporation (Fox) has failed to adopt a policy at all. Parents, teachers and community members are encouraged to send a message to the movie industry that celebrities enticing kids to smoke has got to stop. 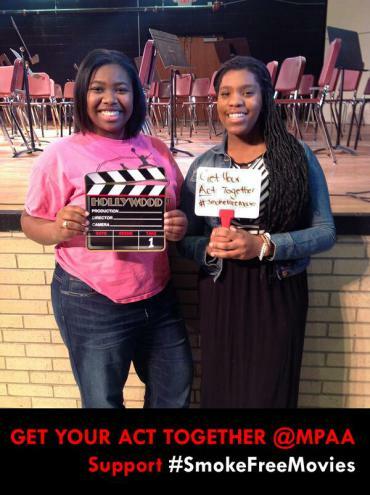 Send an e-mail to the MPAA at ContactUs@mpaa.org. 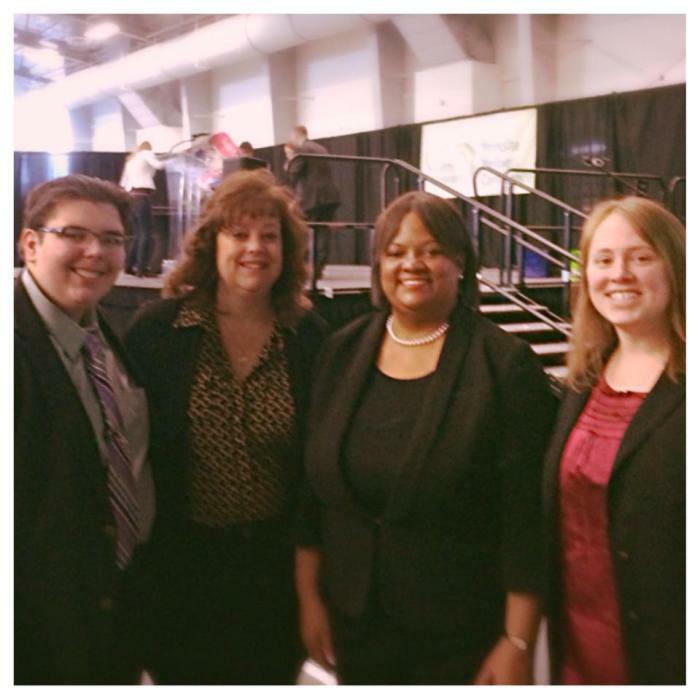 2014 Legislative Day & Youth Advocate of the Year Success! 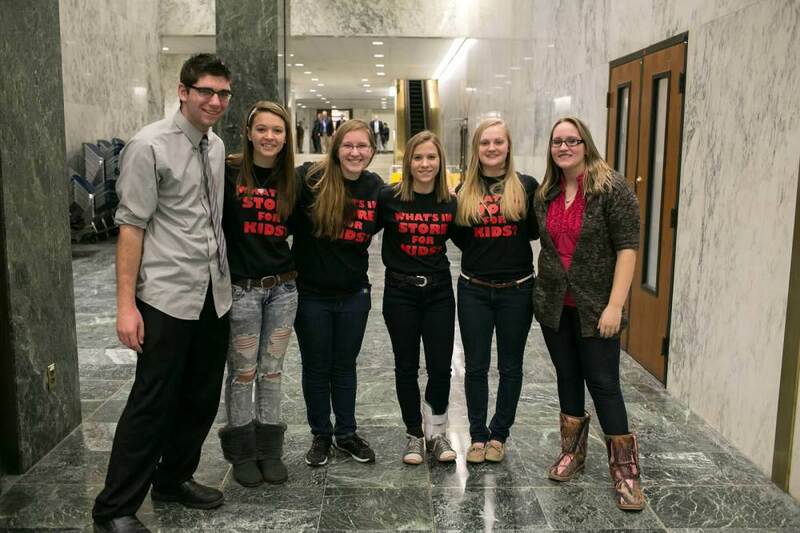 February 20th, 2014- On Wednesday, February 12th, Reality Check youth advocates and tobacco control partners from around the state came together to tell their elected officials how crucial comprehensive tobacco control is. Tobacco control, including programs like Reality Check, #SavesLivesAndMoney. Reality Check also hosted our 4th annual Youth Advocate of the Year Awards and announced our 2014 winners. Check out more great photos from Legislative Day 2014 by our talented coordinator, Kyla McCormick. 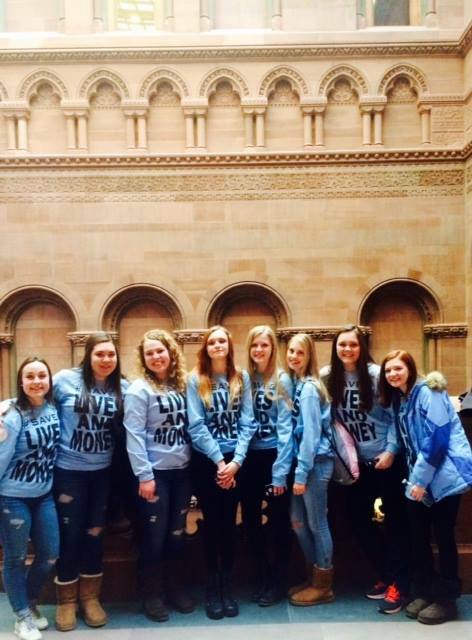 February 10th, 2014- On Wednesday, February 12th, Reality Check groups from across New York State will travel to the capital to share how tobacco control #SavesLivesAndMoney. They will join tobacco control contractors from across the state to highlight the importance of reducing and preventing tobacco use. While we have achieved large reductions in tobacco use, 16.2% of adults and 11.9% of high school students still smoke. In addition, progress is stagnant in some areas. While tobacco use rates have fallen from 2010 to 2012, the decrease is not significant and use of other tobacco products by youth has increased. Certain populations in New York remain relatively untouched – those reporting poor mental health, an income of under $25,000 and an education below a H.S. diploma have significantly higher tobacco use rates. An adequately funded tobacco control program would reach ALL New Yorkers. Funding for the New York State Tobacco Control Program, including Reality Check, has been cut in half since 2006. In addition, New York generates more than $2 billion in tobacco revenues annually, but uses only a fraction to help smokers quit and keep kids from starting – where is the money? Programs like Reality Check matter. 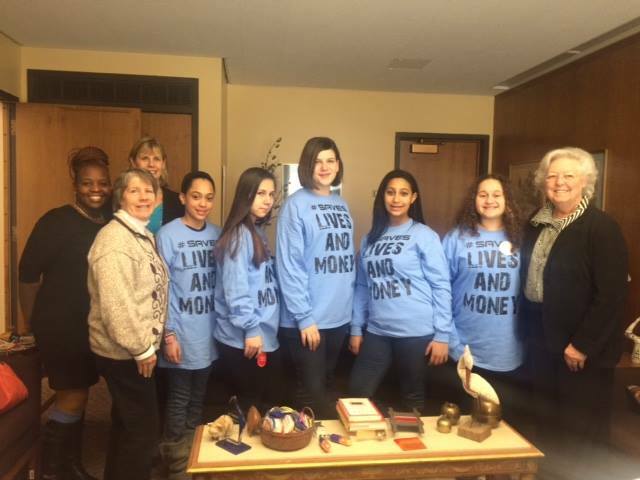 Our youth are excited to head to the capital and let their Senators and Assembly members know that tobacco control #SavesMoneyAndLives. Reality Check members will meet with their elected officials in addition to participating in various activities throughout the day. We will also host our 2014 Youth Advocate of the Year Awards, where we will honor the outstanding work of Reality Check youth advocates. We will honor one statewide winner and regional winners for the Central, Capital, MARO region and Western region. We hope that additional retailers step up to the plate and follow suit, because tobacco and pharmacies just don’t mix. January 21st, 2014- On Friday, January 17th, the Surgeon General released a new report on smoking, 50 years after the first Surgeon General’s report linked tobacco use to cancer. We here at Reality Check are determined to #MakeTobaccoHistory and end the tobacco epidemic for good. September 23rd, 2013- Reality Check is now accepting applications for the 2014 Youth Advocate of the Year Awards. All applicants will be recognized on February 12th, 2014 in Albany at our annual Legislative Day. Winners will receive awards and the opportunity to work with the Reality Check program throughout the year, traveling to conferences and participating in youth events across New York State to promote tobacco prevention. Are you interested in becoming a 2014 YAYA? Click the links below for information on how to apply! Contact your coordinator with any questions. Applications are due by the close of business on December 6th, 2013! September 5th, 2013- Want to know why Big Tobacco loves back to school? Check out these great letters to the editor by Reality Check Program Coordinator Crystal DeMatteo and SUNY Albany student Claire Piazza published in The Saratogian and the Daily Gazette, respectively. The 2013-2014 school year is about to start. While the students are groaning and the parents are jumping for joy, the tobacco industry is licking its chops. The return of students to school means that big tobacco company’s indoor and outdoor advertising will be drawing more kids into a deadly, life-long addiction. According to the American Journal of Preventative Medicine, more than 50 percent of tobacco retailers are located within 1,000 feet of an elementary or secondary school in New York state, which means most kids can’t avoid passing tobacco marketing to and from school every day. Our kids deserve to walk to and from school without being subjected to messages from the tobacco industry. 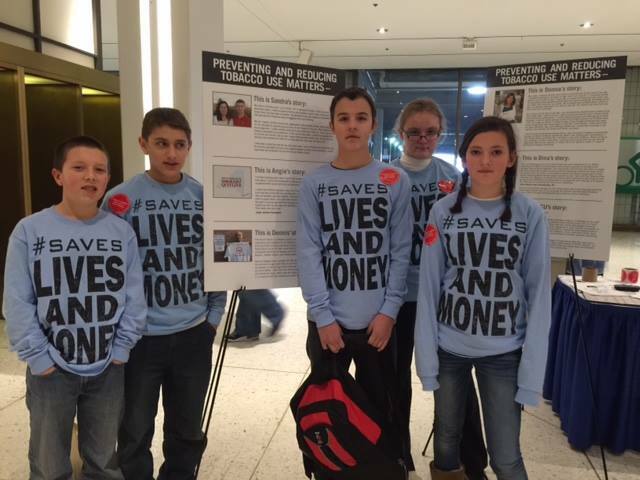 Educate your local elected officials about the need to protect our kids from tobacco industry marketing. To learn how to get involved, visit seenenoughtobacco.org. You know the school year is coming up when you can’t turn a corner in a store or watch television without seeing a new back-to-school advertisement aimed at youth. Other advertisements aimed at youth include big tobacco companies’. Over 50 percent of tobacco retailers are within 1,000 feet of an elementary school in New York, becoming almost unavoidable to the eyes of children. Regardless of what they may learn in school about the dangers of smoking, all of the tobacco marketing they see tells them otherwise — that smoking is normal, accessible and cool. Kids deserve to be protected from the messages of the tobacco industry when they walk to and from school. Educate your local officials about the need to protect kids from [such] marketing. To learn how to get involved, visitwww.SeenEnoughTobacco.org.